15)GIS Mapping of Changunarayan Municipality and Bhaktapur District 2017. 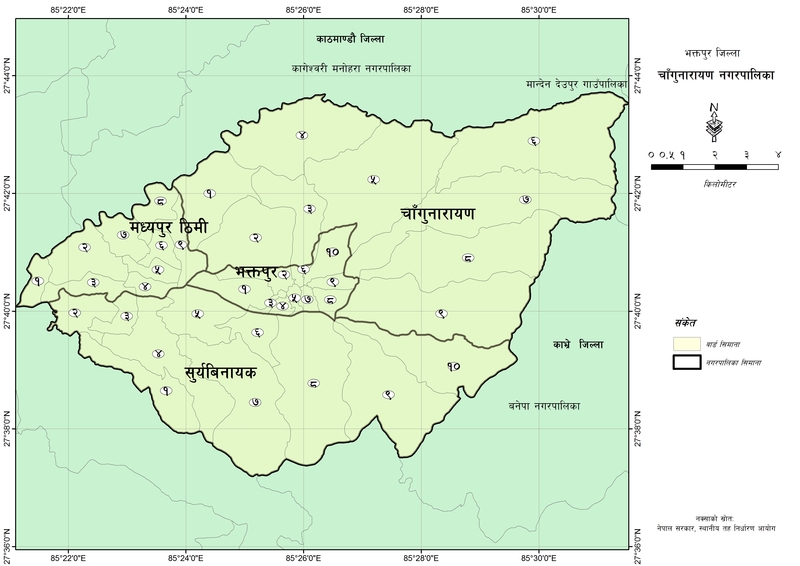 14)Resource Map of Budhanilkantha Municipality, Golphutar, Kathmandu 2072. 13)Earth Quake Impact Mapping of Nepal, Supported by International Centre for Integrated Mountain Development (ICIMOD) Nepal, 2015. 12)GIS Map and Resource Database Preparation on Master Plan of Tourism Development and Management of Rukum District, funded by Nepal Tourism Board and Rukum DDC 2012. 7)Collected and compiled information of Nepal GIS Users profile. 6)Prepared a research paper and published in ‘Application of geographic information systems in village development plan of Taksar VDC, western Nepal. In Pushkar K Pradhan, Ján Buček and Eran Razin (E) Geography of Governance: Dynamics for Local Development. Bratislava,: Geography International Geographical Union Commission on Geography of Governance. Pp.227-233. 5)Nepal GIS Society and CREHPA, Nepal has completed a project on location maps of Comprehensive Abortion Centers (CAC) of Nepal, in 2009 – 2010. 4)GIS Users Survey 2010, funded by High Level Commission for Information Technology (HLCIT) Gov. of Nepal 2010. 3)Map preparation of Eye Hospital and Ophthalmologist distribution in Nepal, demand-based service to Netra Joyoti Sang, Nepal, in 2008. 2)Social Mapping of Rapti District in Collaboration with Geomatics Nepal Pvt. Ltd in 2007.